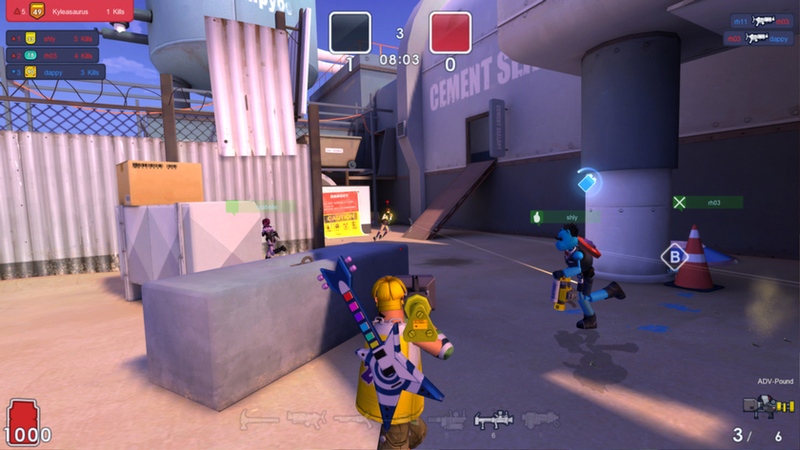 Rock Hippo Productions Ltd. announced today its lead title, and popular free-to-play third-person online toy shooter, MicroVolts is now available for download and to play via Steam. Players can now enjoy all the perks of the Steam interface from in-game chatting to friends’ lists to automatic game updates and special offers! Players can visit Steam now to get started. Starting today through August 5th, every new player will receive a redeem code in their verification email for an exclusive “Y-U-NO” Rage Mask! Steam players that are new to MicroVolts can also take advantage of the exclusive-to-Steam MicroVolts Starter Pack that contains four essential MicroVolting items available now in the Steam Store. In this handy kit, players will get a MicroVolters favorite the Permanent Advanced Pepper Rifle and a 500 Battery Recharge item to upgrade their permanent weapons for a beneficial stat boost! The kit also includes a 7-Day Bomb Keyring Accessory to earn 50% more Micro Points in battle for added purchasing power and a 7-Day Multi-Vitamin Accessory to level up faster by gaining 50% more Experience points! Additionally, MicroVolters new and old can look forward to an upcoming revamped website. Players will have a new place to call home with new website features that will make it easier to navigate and a whole lot more! MicroVolters can stay tuned for more announcements. This entry was posted on Monday, July 9th, 2012 at 7:49 am and is filed under National News, New Releases, Shooters, Teen. You can follow any responses to this entry through the RSS 2.0 feed. You can leave a response, or trackback from your own site.